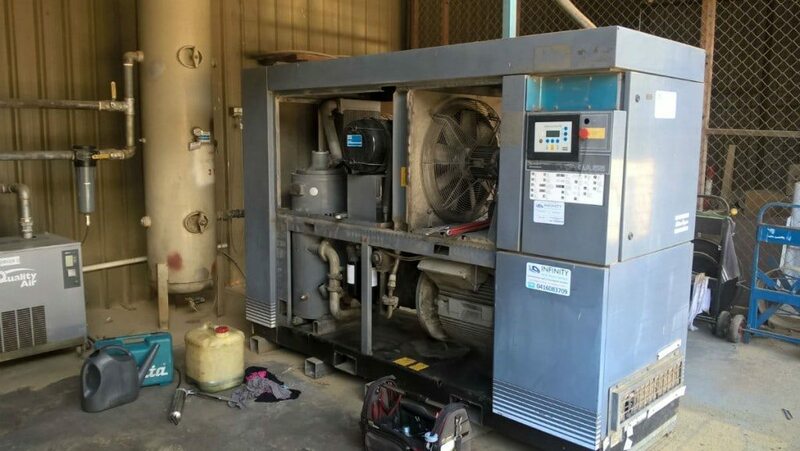 Infinity Air & Vacuum Services are the air compressor repair specialists on the Sunshine Coast. With many years in the industry, we are able to carry out air compressor repairs both onsite and in-house to all makes and models. With our fully equipped service vehicles, we are able to come to you 24/7 to get your production back on track. We can carry out in-house and onsite air compressors repairs 24/7 on all makes and models. We also have a fully equipped workshop for major repairs or for those that would like to drop their equipment off. All of our trained technicians have many years of experience in the Compressed Air Industry, therefore, they are able to repair your equipment right the 1st time. All of our repairs are quoted and will always be carried out with a professional and reliable workmanship which comes to you with a competitive price.